The ‘US’ based Vintage Monark site (www.vintagemonark.com) on the internet was a part business reconditioning old Monarchs as well as recording their history. I was saddened recently to notice the site had suddenly vanished this year and much of the rich heritage of this Swedish marque appeared to have vanished with it. Unfortunately I can’t give you any frame and engine number due to the following story. This bike I was supposed to drive competitions by during the season 1977. 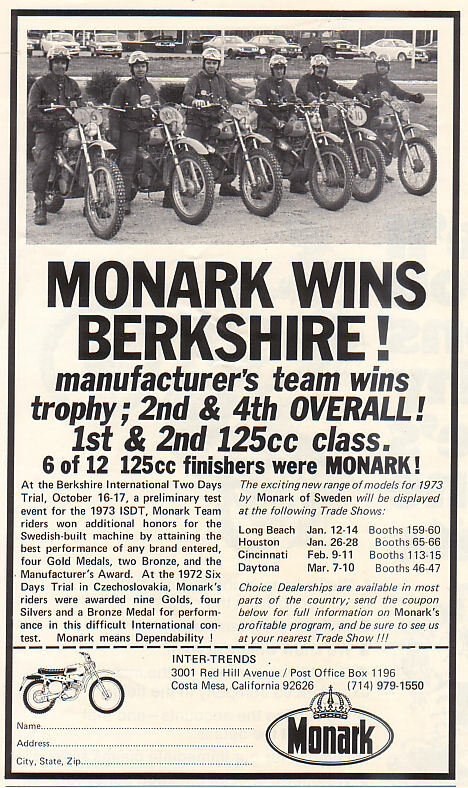 It didn’t develop this way because Monark stopped competing after 1976! Ove Lundell and me developed this model for the season 1977 cause it wasn’t then decided that the production should be closed down, but it turned out to be so. So to speak you could say this was the last one. 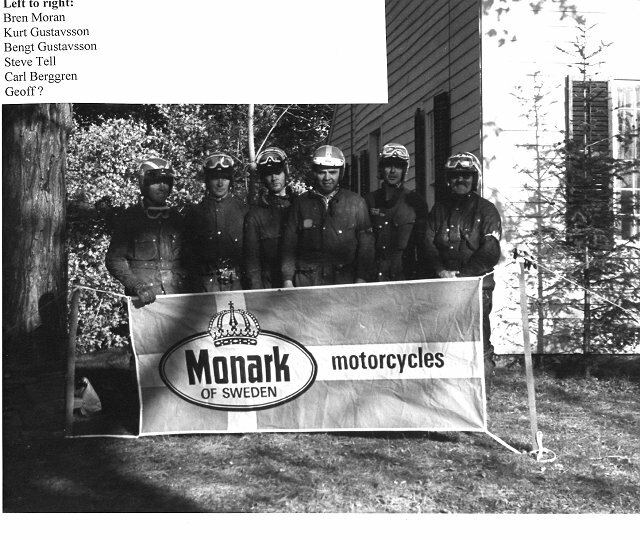 My years with Monark started after 6-days in Spain 1970, there I got to know Ove, my idol of my childhood! 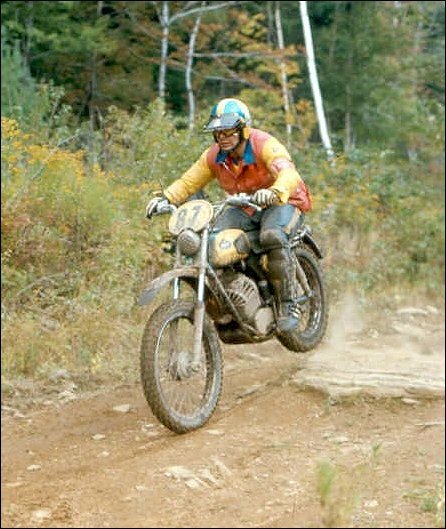 Then I was driving OSSA -250 and took a silver medal. For the 1971 season I decided with Ove to ride Monark. 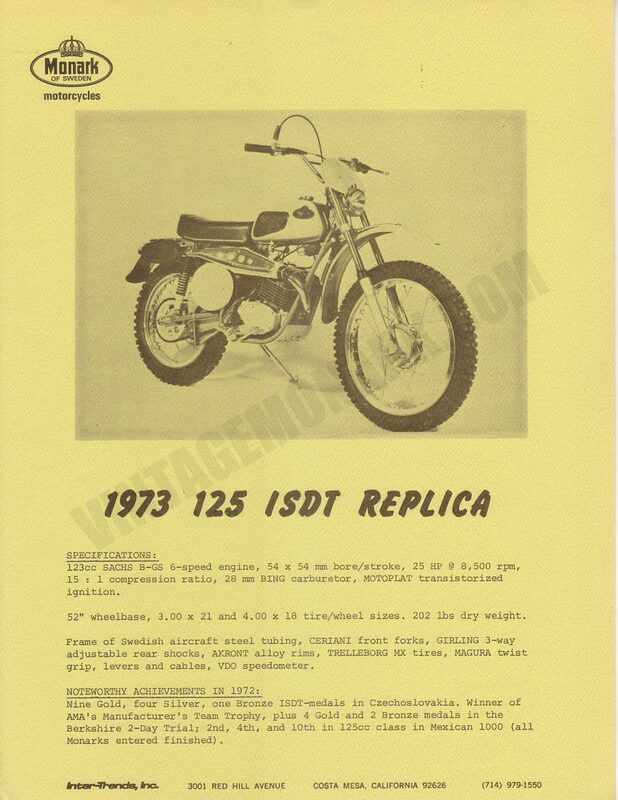 1979 1st but with Husky 125 cc and the same year I won the Novemberk’san totally the first time ever with a 125 cc. I’ve competed in 12 six-days, won 9 gold, 2 silver. 1 DNF, 1 Trophy team, 1 team Silver Vase team. 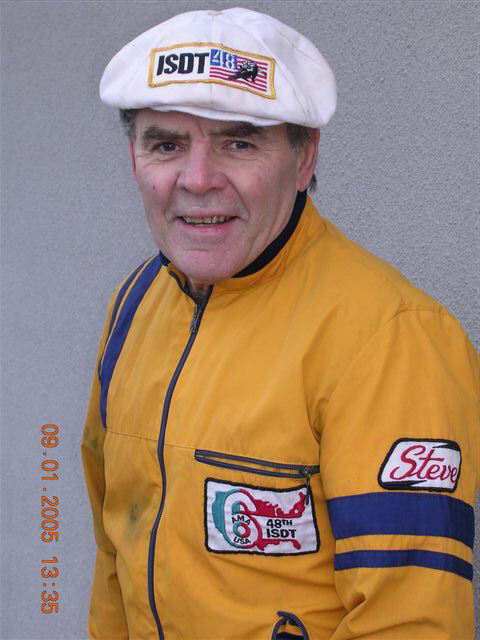 My bike career started in 1967 and stopped in february 2004. During these years I’ve ridden Ossa, Monark, Husqvarna, Yamaha and these last years with KTM. Prior to my motorcycle career I raced on a bicycle. Started in 1955 6 days for young boys. In 1963-65-67 I was competing in the Swedish team in the Swedish 6 days. My third career is collecting and restoration of veteran bikes. In my collection I’ve got 2 Monark Albin Army Motorcycles, Norton 500cc of 1929, Husqvarna 1000 cc of 1932, Harley Davidson 750 cc of 1937, Nimbus 750 cc of 1936, Honda 450 cc of 1969, Honda 400 cc Four of 1977, Honda 350 cc Four of 1973, Husqvarna 400 cc 8 speed 6-days of 1970. I was able to find much of the site can still be found on http://www.waybackmachine.org and I have tried the old email address to request if they are no longer managing the site if we can recover and re-publish their old material so such wisdom is not lost.